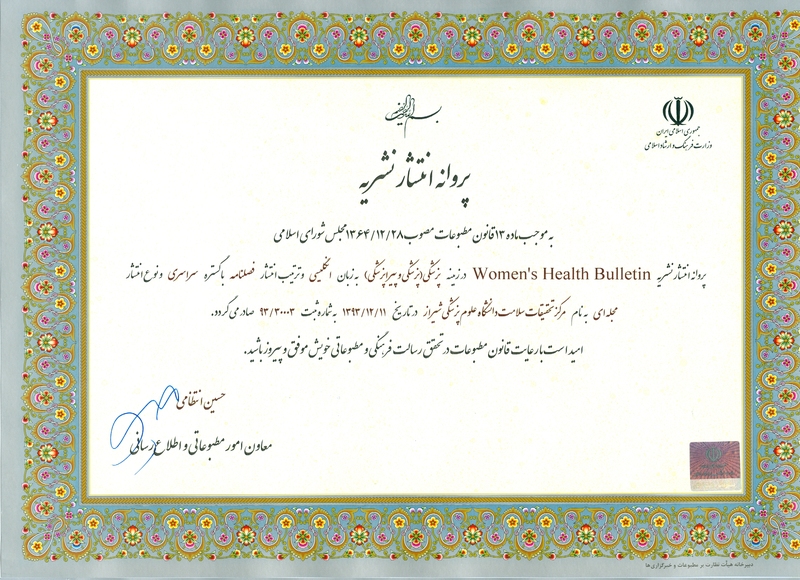 Bulletin of Women’s Health (WHB) is a quarterly peer-reviewed journal, the aim of which is to provide a scientific medium of communication for researchers throughout the globe. It is journal policy to publish work deemed by peer reviewers to be a coherent and sound addition to scientific knowledge and to put less emphasis on interest levels, provided that the research constitutes a useful contribution to the field. Manuscripts are publishable in the form of original article, review article, case report, letter to the editor, etc. Content Coverage The journal considers articles on all aspects of the health and health care of adolescent girls and women, with a particular focus on the prevention, diagnosis, and management of disorders and diseases related to them, as well as related genetics, pathophysiology, epidemiology, clinical reports, and controlled trials.